Do You Have the Right Communications Tools? With the communications technology available today, growing businesses are more competitive than ever. Are you getting the edge you need from your communications tools? Take this quiz to see how your business stacks up! How would you describe your work culture? Flexibility is crucial for us — our employees can work whenever, wherever they want. Is Your Business Phone System Holding You Back? 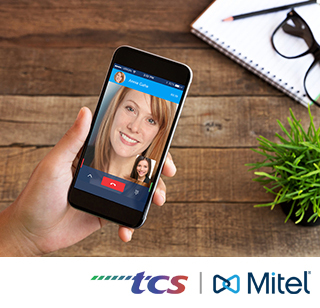 In partnership with Mitel, TCS is powering connections for the networks of today and tomorrow–for the billions of devices that are always on and need to be connected. Click Here for a Limited Time Offer You Can’t Refuse! Is your monthly phone bill hammering your budget? You’re probably paying too much for a phone system that gives you too little. You want to switch, but you worry the transition to a new system will add even more stress and complication. TCS has a better solution for your business, and it all starts with everblü. everblü is a cloud-based communication solution that amps up efficiency for better customer-response, enhanced mobility, and always on-reliability.